Koikuchi soy sauce can be viewed as the “standard” soy sauce. It is　especially favored in the Kanto Region. Its salt content is about 16% by weight. Usukuchi soy sauce, or light soy sauce, undergoes lesser degrees of fermentation and aging than does koikuchi soy sauce. Less time is required to make it and it is relatively light in color. Its salt content, however, at 18% is higher than that of koikuchi soy sauce. 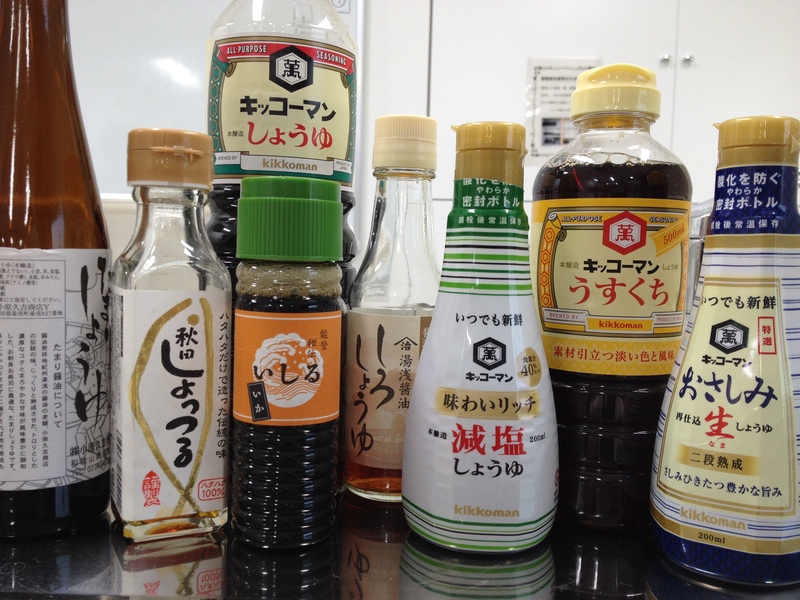 Usukuchi soy sauce is also distinguished by its inclusion of ingredients such as mizuame (starch syrup) and amazake (a sweet beverage made from fermented rice). Tamari soy sauce is made with only soy beans, whereas koikuchi soy sauce, the most commonly used soy sauce, is made of soy beans and wheat. With its thicker consistency and more concentrated flavor, tamari soy sauce is used for sashimi and to make rice crackers, or senbei. Saishikomi soy sauce is made with the addition of soy sauce rather than salt water in the production process. This extravagance makes it the most expensive of soy sauces, but also imparts deeper color. Saishikomi soy sauce is a favorite for use with sashimi and sushi. White soy sauce is made with more wheat than soy beans. In addition to its light color, it is also characterized by its high salt and sugar content – 18% and 12% respectively. White soy sauce is used to achieve relatively subtle flavor adjustments. Reduced-salt soy sauce is koikuchi soy sauce that has undergone filtering to reduce the salt content by about one half. 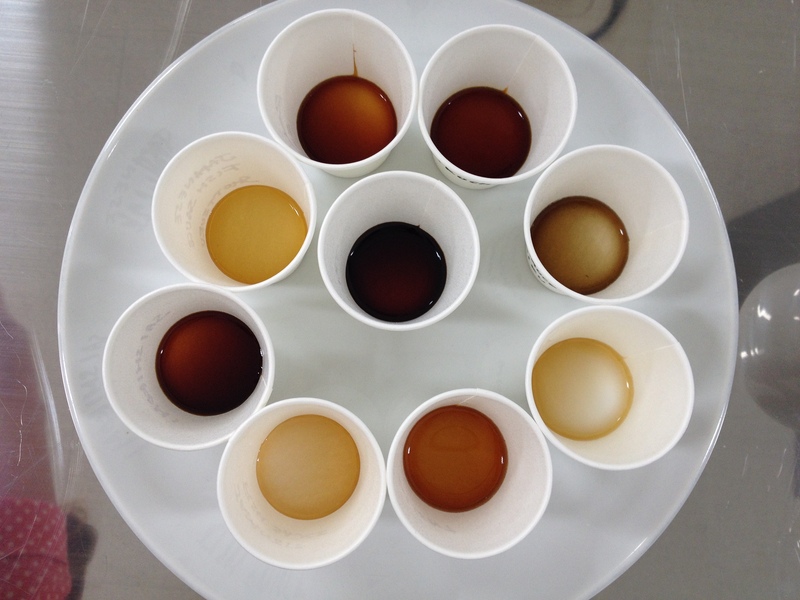 A similar effect is also achieved by producing koikuchi soy sauce with less than the normal amount of water and then adding water to the finished product. Reduced-salt soy sauce often includes added seasonings to make up for its lack of umami, in comparison to koikuchi soy sauce.